On the back of a season as fiercely intense as 2016, trying to sum things up is one of the last, big challenges. With Felix jetting across the Atlantic for his first taste of American racing, debuting in the DTM, dipping his toes into the waters of GT competition and bursting onto the electric scene in Formula E, picking out the cream of the crop from a year lived literally flat out is far from easy. Yet in this December special, that’s exactly what we’ve set out to do. Portioned out in steps leading up to Christmas, we’ll present the definitive top five moments of 2016 – each personally selected and ranked by Felix, and described in his very own words. 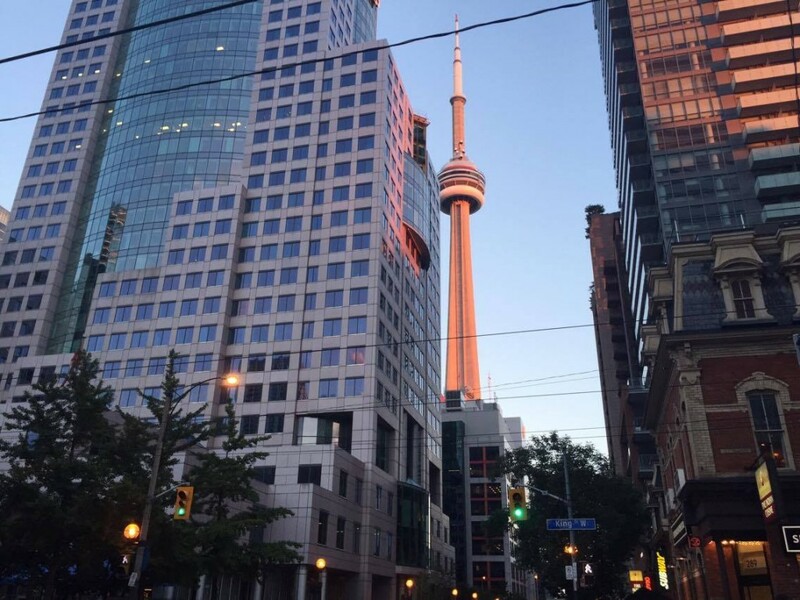 I flew out very early to Toronto, as I had no other things planned that week. I’d heard a lot of good things about the city, so I thought I might as well have a look around and spend a couple of days just doing a bit of sightseeing. I arrived at my hotel which was very nicely located in the middle of Toronto, but there had been a misunderstanding which meant I didn’t have a room booked for the first day. There were no other rooms available, so I had to try to get a temporary hotel for that night. There was a big trade fair or expo thing in Toronto that weekend and basically impossible to find a central hotel, so I took a long shot and ended up staying in some really creepy place around 40 minutes outside of the city center. It was very hot and humid in Toronto at that time, and the place didn’t have air conditioning – it was more than 30 degrees outside. I must have drunk two litres of water that first night! The next two days I was just walking around in the city on my own, exploring the things it had to offer. I had pretty high expectations given what I’d been told – and it delivered on the promise. They have lots of different kinds of restaurants and things to do, so it was easy to spend time there. The Canadians were also very friendly. It actually turned out to be one of my favourite cities, and I’d recommend anyone to go there. Coming into the weekend in Toronto, I had missed the previous two races in Indy Lights due to clashes with my European commitments with Mercedes, so it had been a while since I was in the Belardi car. Everyone was asking me if I would be struggling this weekend having only driven closed cars for the past two months, but I felt quite confident I could get back into it quickly. The circuit was the most bumpy and rough one I’ve ever seen. In some places, there were more than ten changes of surface within 100 meters, with most corners also having concrete patches which had about half of the grip compared to the tarmac. That made it unpredictable and very physical, but it was really cool and different to anything I’ve driven, and once you got to grips with it there was actually a nice flow in the track. I went on to win both races from pole position, and that marked a big turning point of my season where before then, things had been a bit tough. The pace was generally there, but I felt like I was having quite a lot of bad luck during the early parts of summer. Winning twice in Toronto was a significant moment of the year, proving I was able to bounce back. 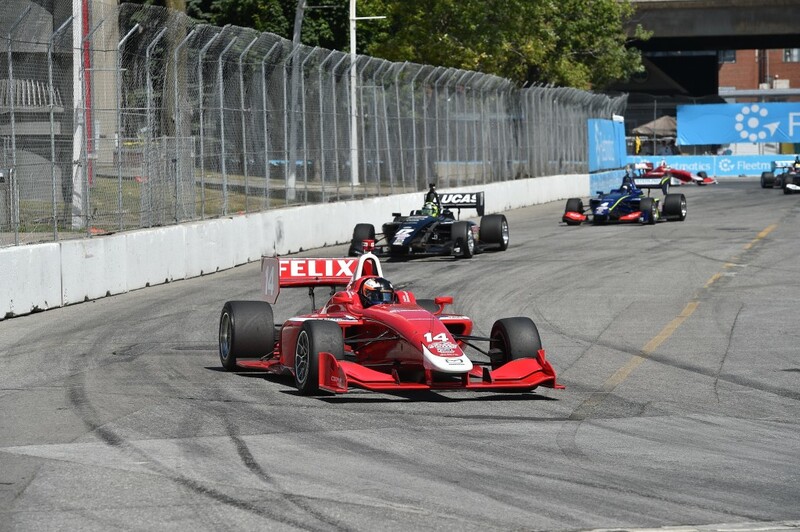 It also turned out to be my last two races in Indy Lights, with calendar clashes unfortunately making it logistically impossible to carry on over there after I got called up to compete in the DTM. 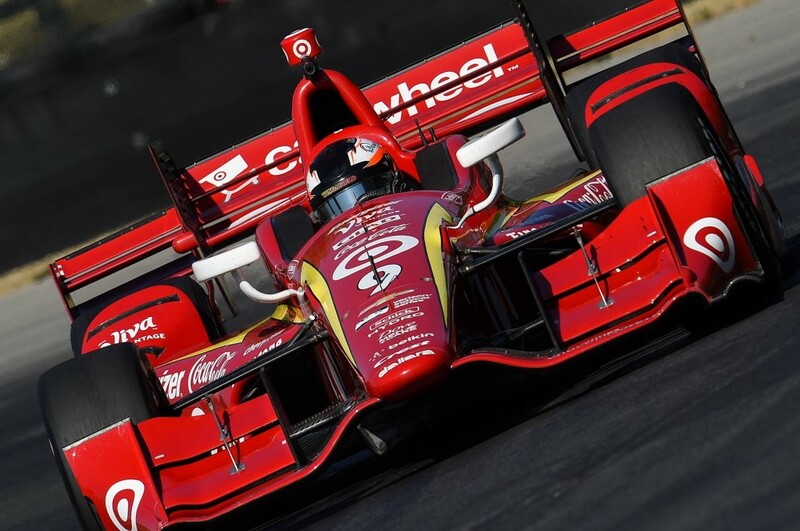 A couple of days after Toronto, I also had my first IndyCar test in Scott Dixon’s car with Chip Ganassi Racing. 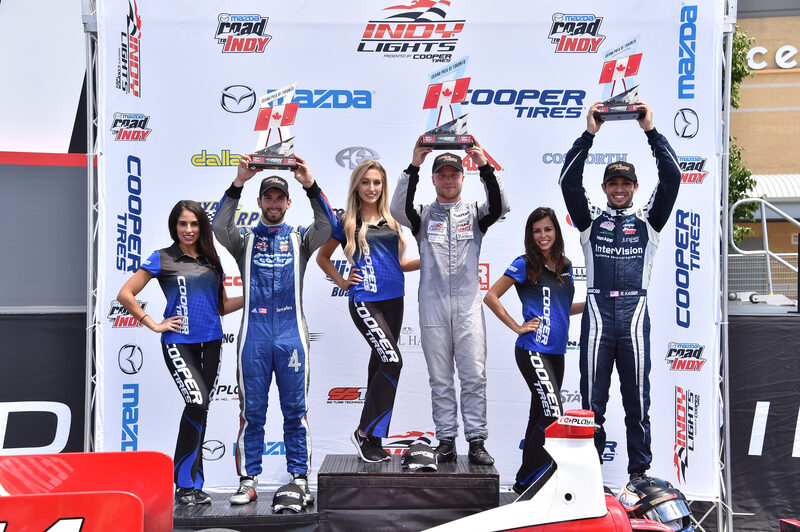 It took place at Mid-Ohio and I loved every second of it. It’s the fastest and most powerful car I’ve ever driven and, even though it was just a test, it remains a very fond memory. That very test has opened a lot of doors for me on the American racing scene. The time I spent there in the US this year was very educational for me as a driver and as a person, on many levels. It’s an eye-opener into a different way of going about motor racing, including a particular lingo. For example, I had never heard about “sticker tyres” before – I thought everyone just called them “new”! The American experience was certainly interesting, and while the travelling that came with it while combining racing in Europe was a big test at some heavily over-crowded airports, I’m very happy that I did it.